Having clean wiper blades, in good working order is essential to safe car travelling. If your wiper blades start streaking water, become squeaky or leave a milky film when wiping, first give your wipers a rub down with a wet rag. It may just be dried on dirt or small bits of debris caught under the rubber that need cleaning off. 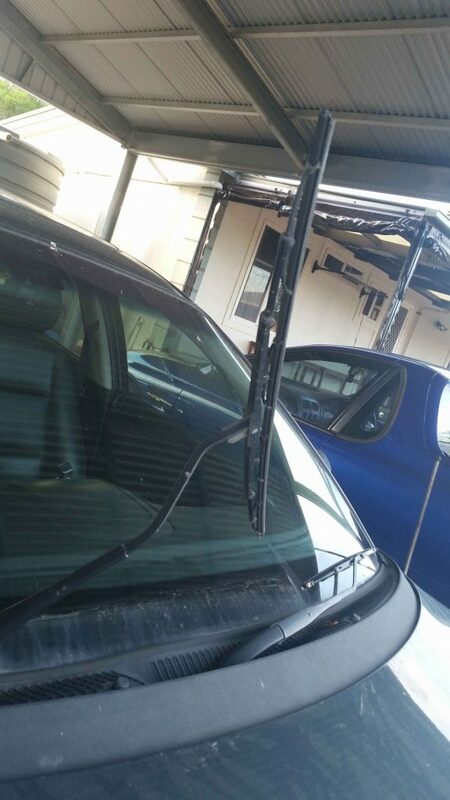 If after giving them a wipe down, they still don’t function properly, then your wiper blades will need replacing. 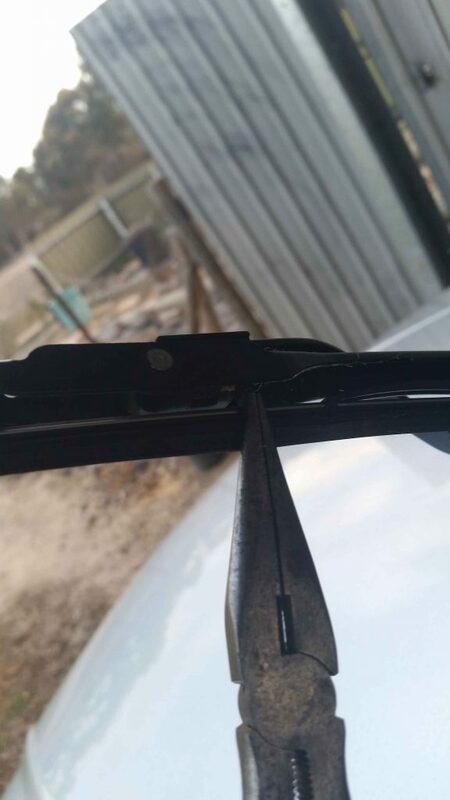 Changing your car’s windscreen wipers isn’t as hard as you may think. It’s a relatively easy DIY job to keep up with your car maintenance. 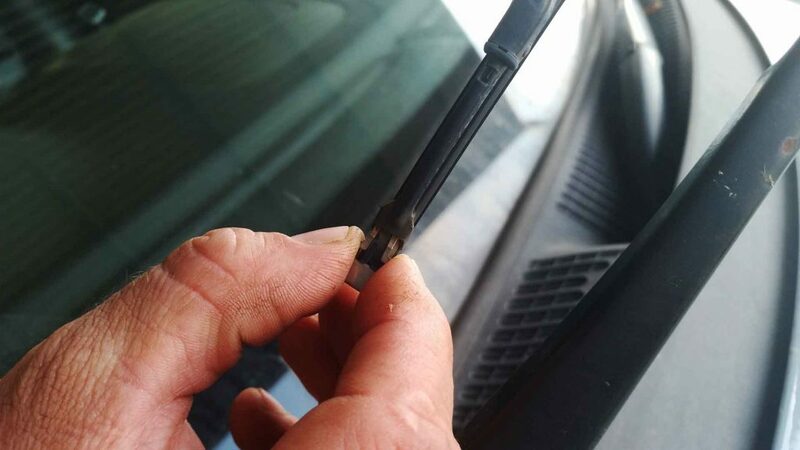 There are two different ways to replace your car’s wiper blades, and it will depend on the make and model of your vehicle as to which method you need to use. 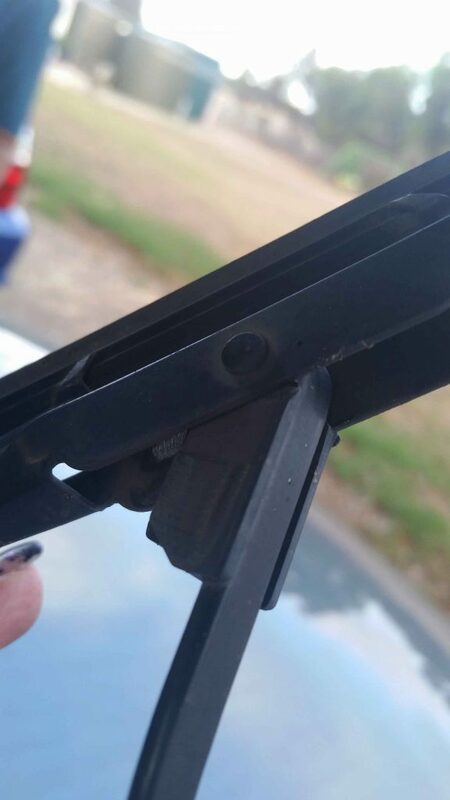 Your car will either need the rubber part of the wiper blade replaced, or else need the entire wiper arm replaced. So, check your car’s manual as to which type you have before moving ahead. We’ve outlined the steps below for both types of vehicles. But before you dash off to the auto store to buy new blades, you’ll need to know the year, make, model, and any other specifications such as “type” of your car. This will ensure you get the correct one for your vehicle. 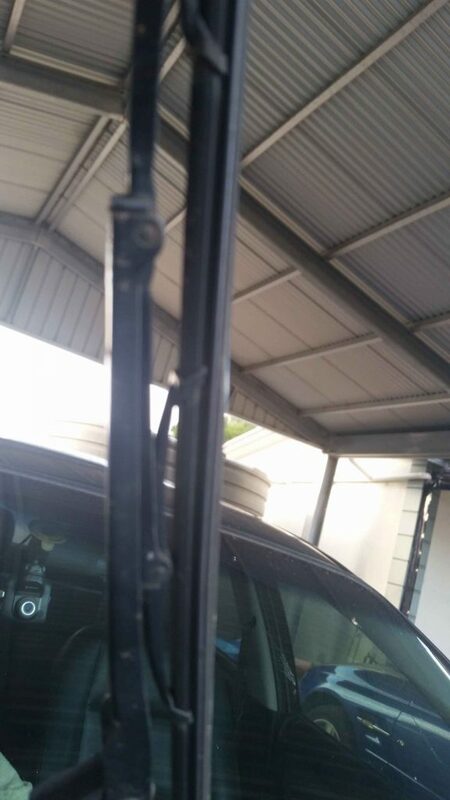 First, pull the entire wiper assembly up, so that it remains vertical. Then turn the blade upright to the arm. Remove the old blade by squeezing the end with the clip attached together and withdrawing it from the assembly. 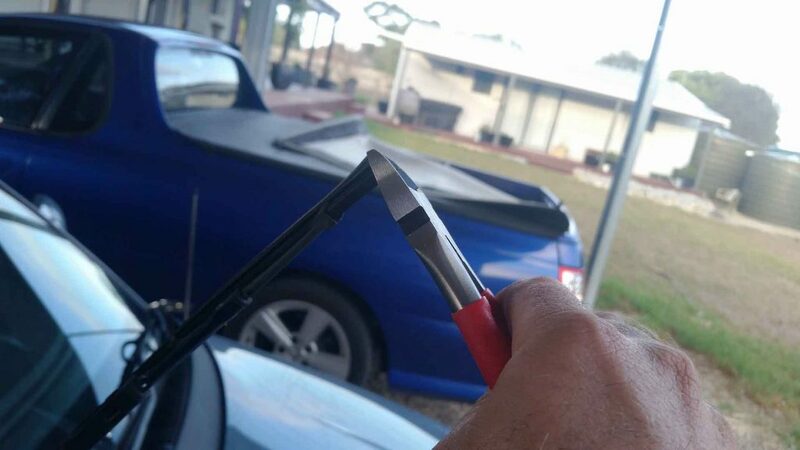 Insert the new wiper blade into all blade claws and firmly lock the metal retaining clip into the end claw. Ensure that all claws are on the blade securely, otherwise your wiper will not work correctly and it can damage your window. Whilst holding the blade, cut the refill blade to the required length, but leave a minimum of 25mm from the end claw (replacement blades are one size fits all, so you’ll need to cut it to size with a pair a scissors or Stanley knife). Lower the blade assembly to the windscreen. Check that it will wipe the screen correctly. Lift the blade assembly from the windscreen. In the centre, you will notice the point where the assembly pivots on the arm. Depress the clip on the underside of the hook to release blade assembly. Slide downwards on arm to remove from hook. Using the old blade assembly, identify the style of adapter required and choose the correct one provided with the new blade assembly. Clip on the adapter and slide the new assembly onto the arm. Ensure blade assembly locks onto arm. You should hear a click. And you’re done! We told you it was easy. If you want to learn more about vehicle maintenance or have a question, then leave a comment below, we would love to help you. Don’t forget to subscribe to get your free glove box guides on how to change a tyre and our maintenance check list. Great for first time drivers.